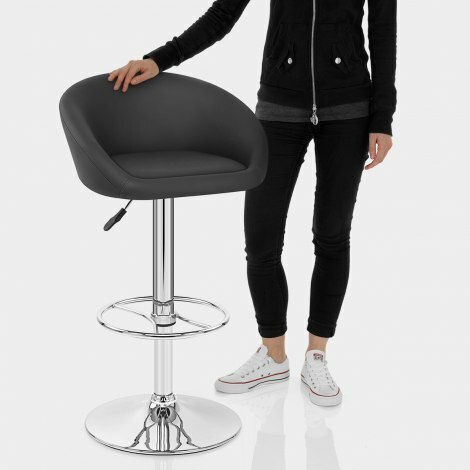 The Zenith Real Leather Stool Black is a fabulous design with the consumer in mind. The black of the Zenith's seat compliments the polished chrome perfectly, delivering a chic and contemporary item of furniture that will no doubt turn a few heads. An accommodating seat is padded for superb comfort and is covered in black real leather for an exquisite touch that will complement any kitchen bar or breakfast bar. The seat is flanked by a mid height backrest with stitching on the rear that offers good support, and also doubles as armrests for added convenience. The seat stands on a chromed frame, consisting of a stem, circular footrest and matching circular base. Beneath the base is found a protective underside that helps prevent any scratches, giving it even more desirable qualities. But that isn't all; the Zenith comes with a hydraulic mechanism so you can raise, lower and rotate it by 360 degree, perfect for tailoring it to your needs. "These are very nice looking stools and comfortable"
Our second order of these stools as we were so pleased with the first ones we got from you. They are really comfortable and show no signs or any wear proving the quality of the product. Once again delivered very swiftly and the the time promised. A great service many thanks. Very impressed with this product. Exceptionally easy to assemble and looks great in my kitchen. 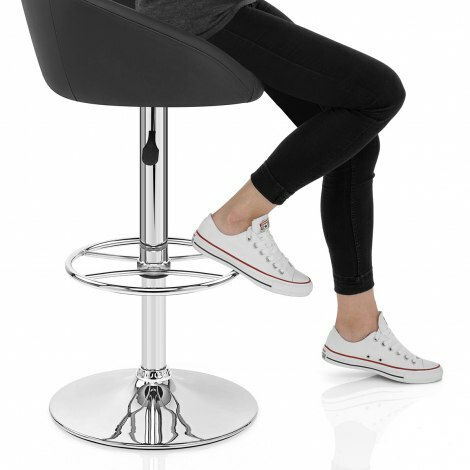 These stools look good, are well made, easy to put together and very comfortable. Great value for money. Customer service and delivery was fantastic. Highly recommended product and company. Excellent service easy to assemble excellent quality hugely satisfied they very comfy. Nice quality & easy to assemble. They look great and very comfortable.